There is a lot of backup solutions. 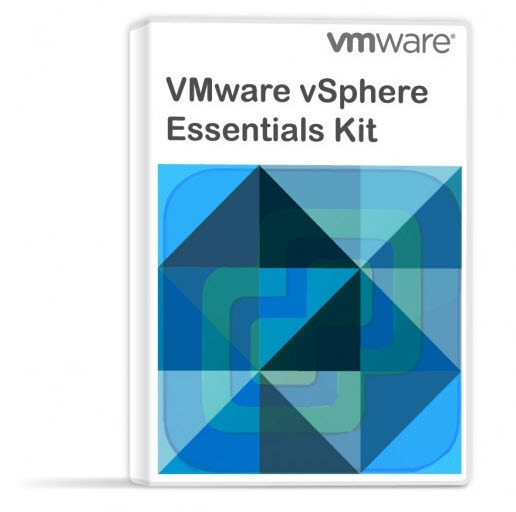 In this post, I will list some of them, but it will be no mean an exhaustive and detailed feature-listing of backup solutions for VMware. No, this post with title TOP 5 Backup Software for VMware Infrastructure is only a high overview post of backup solutions with some of their features and functions. Not exhaustive listing. Features that are usually “must-have” today and which VMware admins appreciate in their day to day backup tasks. If your preferred solution isn’t listed, it’s not because I’m not aware that it exists, but rather because this post lists only 5 of them and it’s purely my own selection. Without further talking, let’s get started. There is no preference which solution is listed first or last, so there will be no number 1, number 2 etc…. Nakivo has a solution which can be deployed as a virtual appliance (Linux) or which can be installed on a physical host or inside of a VM (Windows or Linux). Nakivo has a very fast web-based UI which we like (nothing like buggy and slow VMware Flash-based Web client), but HTML 5 only. The product is easy to setup and configure. Installation Platform: Pre-configured VMware VA and AWS AMI; QNAP, Synology, ASUSTOR, WD NAS, and NETGEAR ReadyNAS packages; 1-click Windows installer, 1-command Linux installer. Restore Full VMs, Individual files within VMs, Individual applications items (AD, Exchange Objects recovery). Automated VM Failover, File Recovery to Source, Self-Backup, Automated VM Failover, File Recovery to Source, Self-Backup, Site recovery. Hypervisors: Data protection software for VMware, Hyper-V, and AWS EC2. Veeam Backup and replication have released Veeam Backup and Replication 9.5U4 of their product – Veeam Availability Suite. Veeam’s product is maturing with every release, but staying reliable and simple to use and install. If you’re looking for a product that “just works” then Veeam is your choice. They propose traditional administration console or a web-based console (for enterprise version) which can monitor several backup servers within the same UI at the same time. 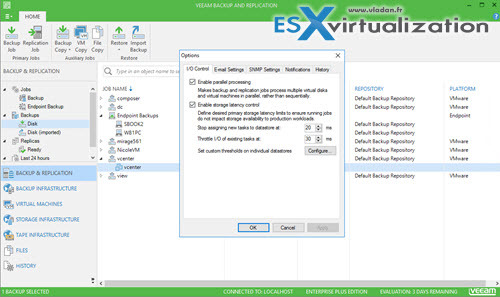 There is also a possibility to deploy the Veeam backup console only allowing you to configure and monitor backup jobs from your laptop or monitoring station without the need to open a remote connection to the backup server. Installation Platform: Windows (Windows Server). Physical or as a VM. Can backup VMware and Hyper-V VMs on within your infrastructure. Simple to use. 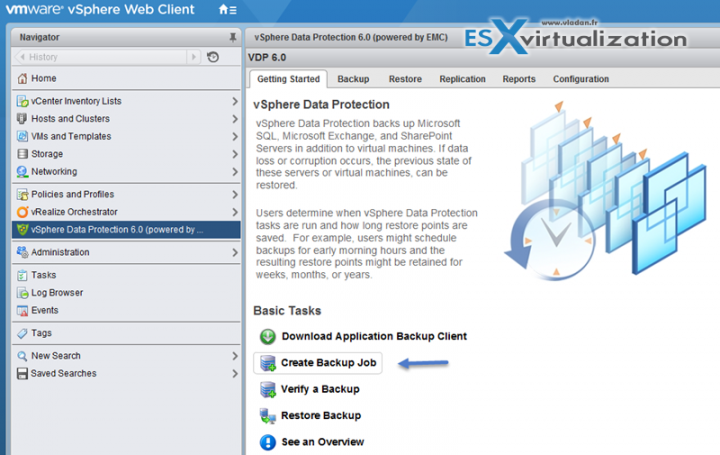 Incremental backup – Backup of virtual machines on ESX/ESXi hosts through VMware Virtual Disk Storage API. Licensing – Lifetime license per site (no physical socket). Only a single license per site. Very Cost effective. Our licensing policies are simple: with a single license you can back up unlimited servers and virtual machines connected to the same network. No extra cost for hosts or CPUs. 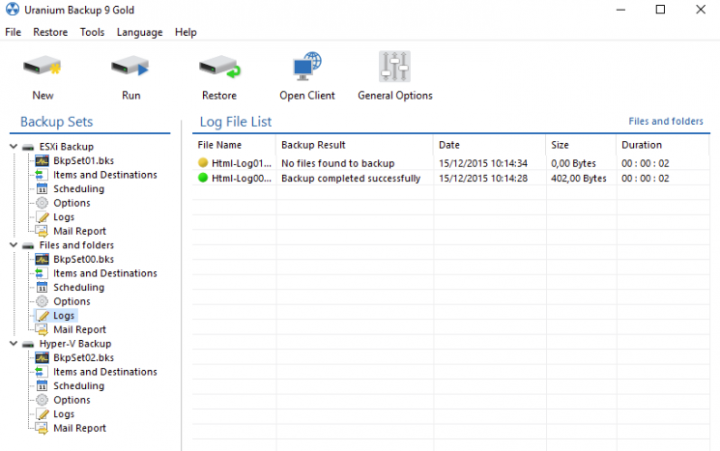 Uranium Backup Pro virtual product page. Note: They also have a free version. Altaro is relatively new to VMware, but their recent product looks promising (v6 Release Detail Post). Previously they only focused on Hyper-V but it’s good to see them covering leading Hypervisor platform as well. 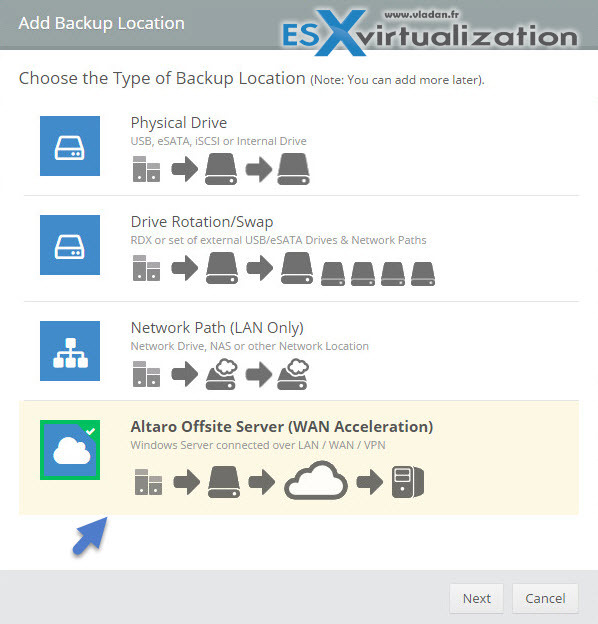 Altaro can backup offsite – How-to Setup Altaro Offsite Server. VMware vSphere Data Protection (VDP) is here since version 5 of vSphere. The previous solution called VDR present in vSphere 4 was phased out and replaced with more robust one based on EMC’s Avamar Technology. It uses more efficient deduplication technology. VDP uses an intelligent variable-length method for determining segment size that examines the data to determine logical boundary points, eliminating the inefficiency. You can read details, setup and troubleshooting I’ve done in my series of posts starting here (for VDP 5, but the principle stays the same). The latest version of VDP is 6.1. Installation Platform: Virtual Appliance (Linux). VDP is an appliance that is delivered as an OVA template. Each OVA is preconfigured with destination datastore sizes of 0.5 TB, 1 TB, and 2 TB. As being said, there are many more products out there than the 5 I listed here. I can already see few others. To be included in “Part 2” perhaps? … -:). Backup solutions for modern datacenter environments must keep the rhythm with incredibly fast patches releasing cycles from the hypervisor’s side. Sometimes a patch of a hypervisor breaks backup feature or even the whole backup solution. The backup vendor must work hard to find a workaround as quickly as possible. We can see that more and more vendors propose web based client to access the backup server from anywhere. Is that a direction towards which the IT is heading? Perhaps. Another reflection might be what if I need to change a backup product. In fact, I would not say that it is difficult to choose a backup solution that meets your requirement as you can always make a list of features that you need in your environment, but the difficulty is to make a change (if necessary) in case you must change for another backup product. Difficulty in testing new capabilities, working through new UI, trying different types of restores of applications you’re using in your environments etc. Thanks for the nice overview specially for listing the “Installation Platform”. What I miss today in most overviews/product descriptions are reports about about IPv6 compatibility. An option to consider and that I’ve worked with is Unitrends, it offer the capability of doing instant recovery that is very good in my opinion, replication, and centralized monitoring for multiple off site appliances, even tough the software may be somewhat problematic some times, but the help team is good. Thanks Max for recommendig Unitrends. Unitrends Backup has a very fast/intuitive HTML5 webclient that can manage multiple appliances from a single point of view, it can protect virtual and physical server (agent-based), global-deduplicaton, backup copies to another appliance, unitrends cloud or public clouds (amazon, google, rackspace), etc. The post lists only 5 solutions, but Comvault might be in upcoming “part 3” follow up post. Why not?